The 10*th Annual Population Approach Group in Australia and New Zealand (PAGANZ) meeting will be held in Dunedin New Zealand. 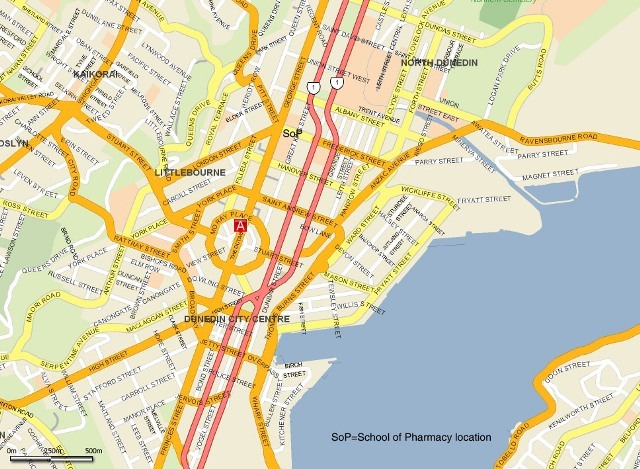 The meeting will take place within The National School of Pharmacy, University of Otago in Dunedin. Weather in Dunedin will be cool to warm with temperatures in the 15-25 range. The dates are 13-15 February 2008. Note that Dunedin is a University Town with a population of approximately 120,000 people. Please book your accommodation early to ensure that you get the place of your choice. PAGANZ is a 3 day meeting. The first 1.5 days of the meeting will be a workshop followed by the scientific meeting. Registration has opened . You can register by clicking on the link at the top left of this page just under the Link for the Dunedin Meeting. The maximum number of participants is 50. A waiting list will be constructed for registrations exceeding this number. Payment is required by 1st December 2007. If payment is not received by 1st December 2007 then your name may be moved to the waiting list. The class size is limited to 25 participants per workshop. Shuttle services operate from a common rank, generally after each scheduled arrival. All shuttles welcome pre bookings Airport/City and City/Airport. One way fare costs $20 (approx). Cost depends on number of people travelling in shuttle. Taxi operators trading at the airport use a common rank. It is not possible to have a preferred company available “on demand”. All taxis welcome pre-bookings Airport/City and City/Airport. Typical fares are $60-$75 one way.